tinyBuild have delivered on their recent teaser by unveiling "Secret Neighbor", an expansion to Hello Neighbor that delivers a multiplayer social horror experience in the creepy neighbor's house. A video has been released titled "Secret Neighbor" in relation to stealth title Hello Neighbor, promising a full reveal on June 10th as part of E3. 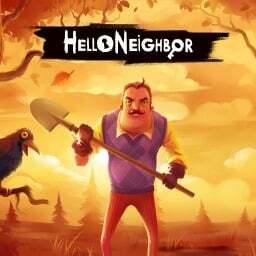 Hello Neighbor was released on Xbox in December of last year, and now it will be coming to PS4 on July 27th. This summer, you will be able to find out what exactly your neighbor is hiding. The first Hello Neighbor game with trophies was Hello Neighbor, which was developed by Dynamic Pixels, published by tinyBuild and released on 27 July 2018. 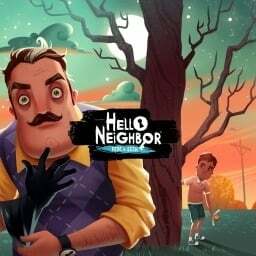 Since then there has been 1 more game in the series with trophies - Hello Neighbor: Hide and Seek which was developed by Dynamic Pixels, published by tinyBuild and released on 07 December 2018.